During her interview with the Today Show, J-Lo got the crew hyped to watch—and to get up and dance themselves. See how she coached a few lucky volunteers to show off their sweet skills, and find out how you can submit to show off your dancing skills on World of Dance, too. Check out the full interview below. Want more World of Dance? 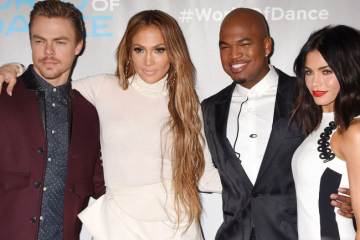 For more World of Dance competitors, check out the full roster of dancers and tune into World of Dance on NBC. Don’t miss exclusive interviews, performances, and more from the definitive source for all things NBC World of Dance.